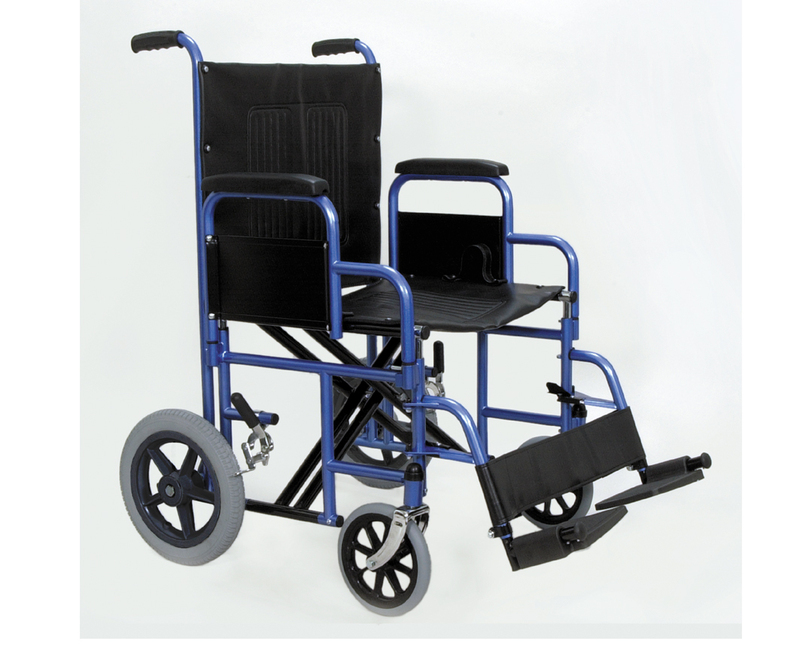 Heavy duty reinforced upholstery with back carrying pouch. 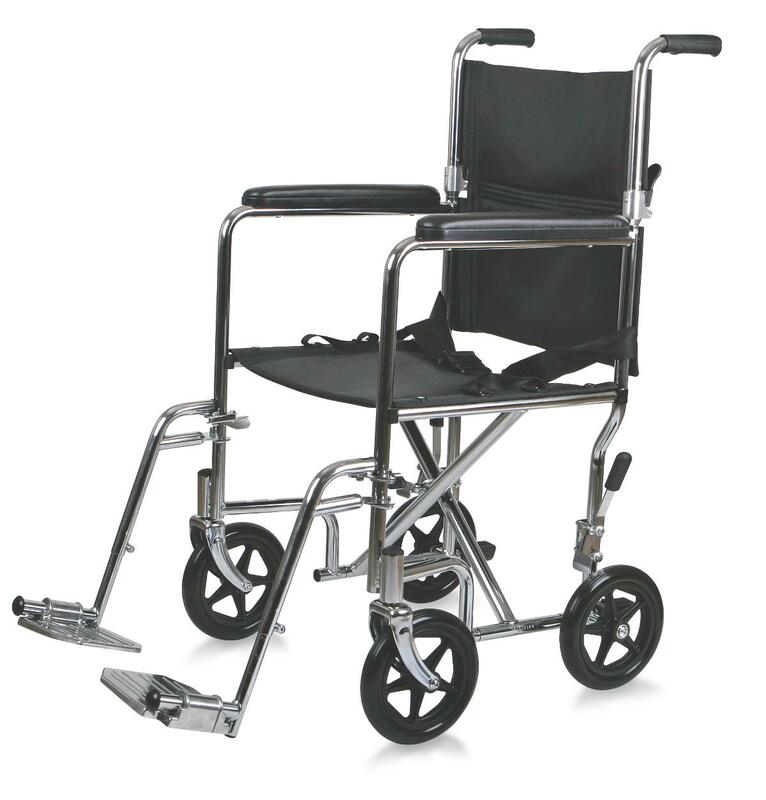 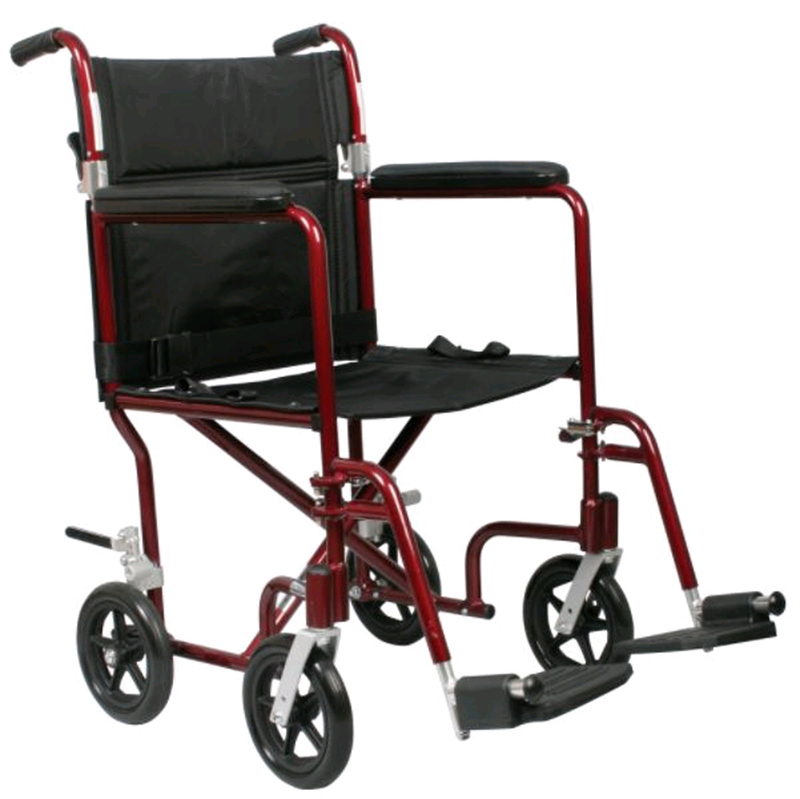 12" flat free rear wheels, reinforced steel double cross braces, removable, reversible desk length arms, and adjustable leg straps. 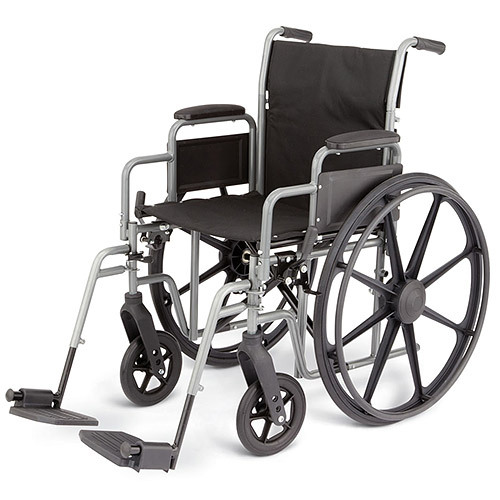 Comfortable nylon upholstery; Seat belt for safety; Padded armrests.